Zindagi Gulzar hay Novel Read online or download in PDF format for offline reading and enjoy a beautiful soul touching Urdu story. Zindagi Gulzar hay is story of a mother and her three daughters who lived in very crises their father leave them alone and arrange a second marriage for birth of Son. Zindagi Gulzar hay is authored by Umera Ahmed, she is a very popular Urdu writer, short and long Urdu stories writer, screenwriter, drama script writer and one of the most famous Urdu novelist in Pakistan. Read online or download in PDF format for offline reading and enjoy a beautiful soul touching Urdu story. Zindagi Gulzar hay is story of a mother and her three daughters who lived in very crises their father leave them alone and arrange a second marriage for birth of Son. Zindagi Gulzar hay is authored by Umera Ahmed, she is a very popular Urdu writer, short and long Urdu stories writer, screenwriter, drama script writer and one of the most famous Urdu novelist in Pakistan. Umera Ahmed Novels are not only read inside Pakistan but also in India and Bangladesh as well. Many Urdu dramas are also made on Umera Ahmed Novels. The Urdu novel Zindagi Gulzar hay Novel by Umera Ahmed is also masterpiece like all Urdu Novels of Umera Ahmed, Zindagi Gulzar hay Novel is one of from most popular novels of Umera Ahmed. 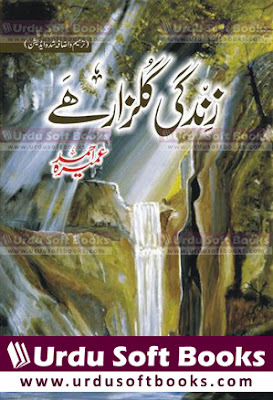 Urdu Books and Urdu Novels are very popular in all over the Pakistan, especially students are very fond of Urdu PDF Books and Umera Ahmed has unique place in Urdu Novels industry.